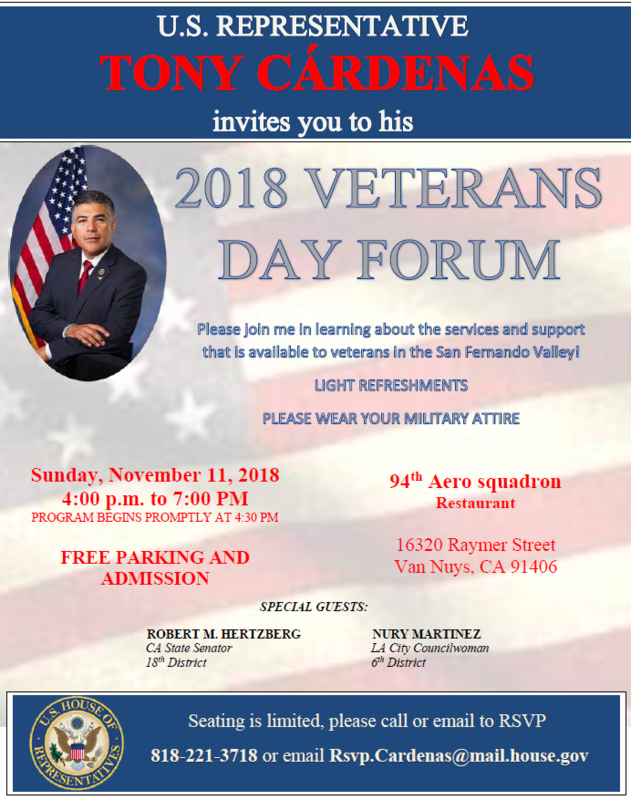 We would like to invite all Veterans and their family members to attend and enjoy the event. This Forum will serve as an opportunity for Veterans to access services and hear firsthand from the VA and the Congressman on upcoming projects and events. The event will take place at the 94th Aero Squadron Restaurant located at 16320 Raymer St. Van Nuys, CA 91406 from 4:00pm-7:00pm.